Welcome to this case study talking about and detailing the process behind the images for these commercial fashion portraits. 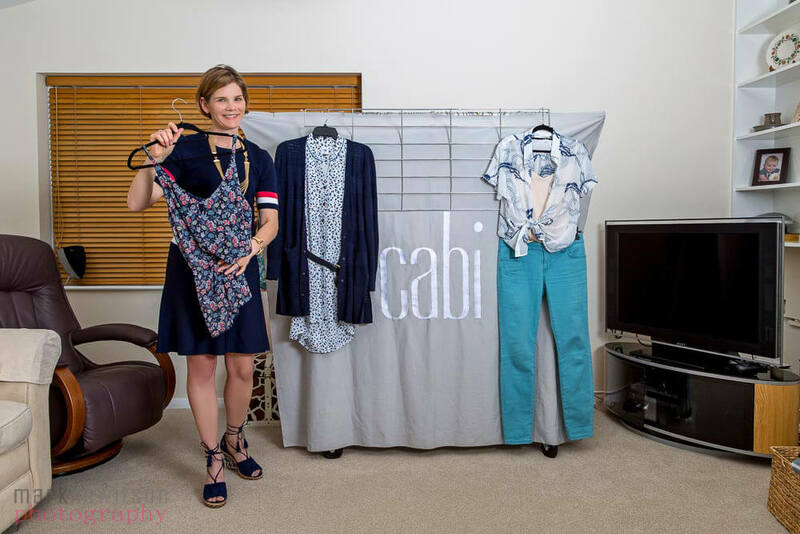 Donna Taylor is a local independent Cabi stylist. 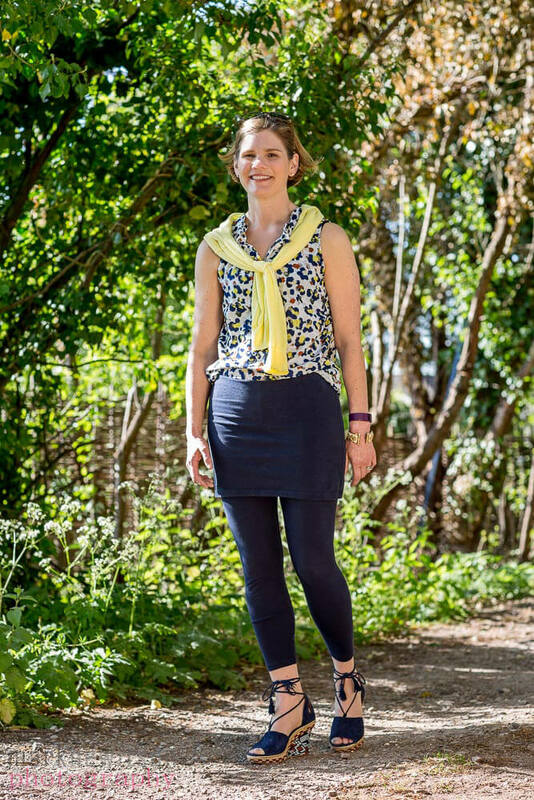 Donna approached me because she was taking an advert out in the local Thame Out magazine and needed a few portraits showing both herself wearing the clothes and the quality of life that working as an independent Cabi stylist can bring. Donna explained that spending time with her daughter was important to her and therefore depicting this in some of the images was a key part of the brief. When Donna first contacted me, I first took a brief, asking about styles of portrait, number of images required, locations and intended image usage, to enable me to provide an accurate quote. With the quote agreed, we arranged a date, checking the weather forecast to ensure we made the best of the Oxfordshire sunshine. 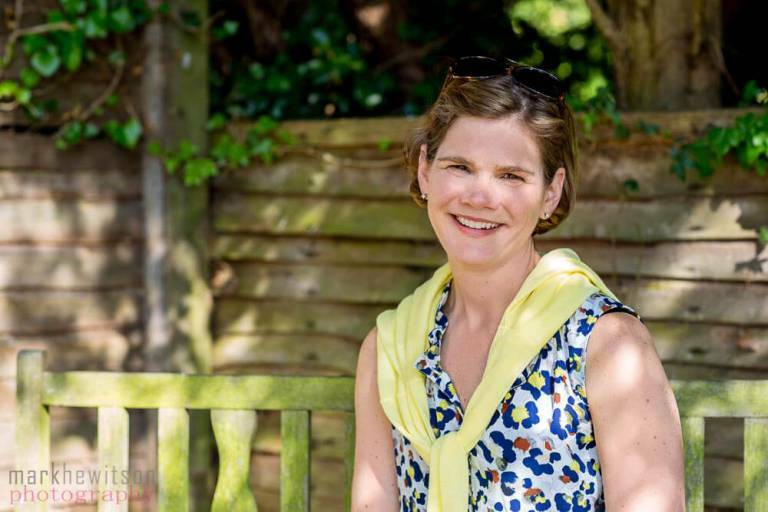 With a date and location in mind, I then asked Donna to send across any images she had previously seen in her desired style so that I could fully prepare before the portrait shoot. 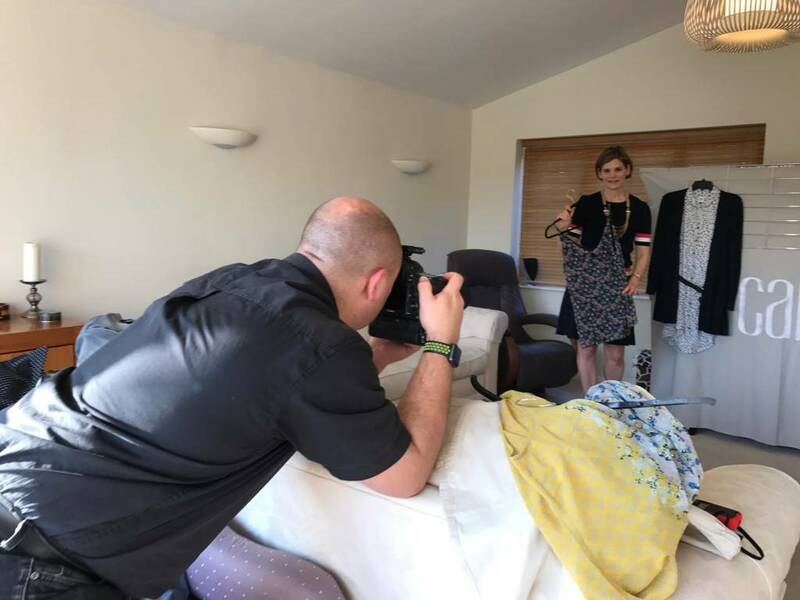 On the day of the portrait shoot, I met my assistant at the studio, packed up the kit we would need and then loaded it in the car ready to head off and see Donna at her beautiful home which was to be the location for the images. On arrival, I had a look around the property and grounds to find some suitable locations for the images. I was keen to avoid using just the one location as I wanted show variety in the images. I found four different locations that would be suitable for what we wanted to achieve. Donna then got changed in to her first outfit and we made our way to the first location in the back garden. right side of the face. This also allowed us to put an extra sparkle in the eyes that we didn’t get with just the sunlight through the overhanging tree. The second location we used was the covered driveway that leads to Donna’s home. Again here the dappled light provided some beautiful light and I took care to have Donna stand directly in a shaft of light coming through the trees. Again, I had my assistant hold a reflector to bounce just enough light back to lessen the shadows. For our third location we moved indoors. 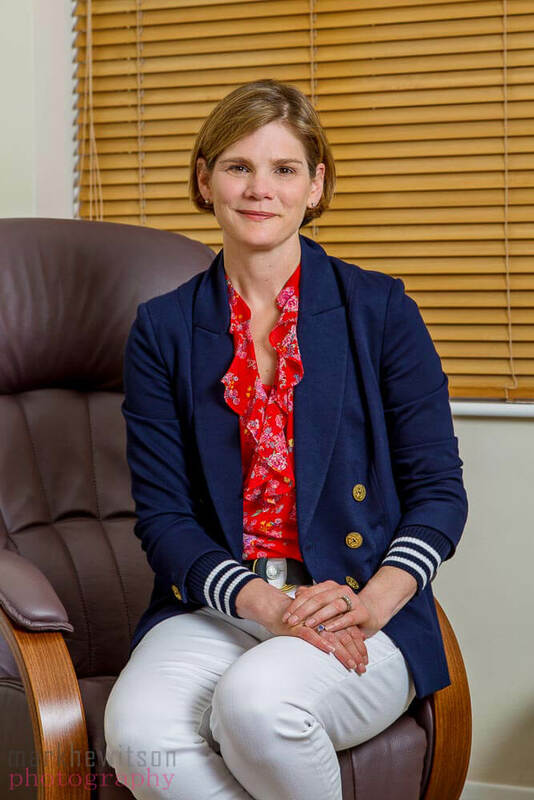 Here we moved some of the furniture around, closed the blind behind Donna and then used a large softbox on an Elincrom Quadra flash head to evenly light the scene and provide the much needed catchlight in the eyes. With this image accomplished it was on to the fourth location. The fourth location was Donna’s balcony with a view out over the stunning Oxfordshire countryside. I knew that the style of image I needed to achieve was one with even lighting on Donna while still retaining detail in both the sky and the landscape behind. If you attempt to do this with a standard flash on the camera what will happen is that you illuminate your subject nicely but ruin the background. With no flash, you’d find that either the sky or your subject is exposed properly losing detail in the other. To enable me to achieve the results you see here, I used the light meter to work out the exposure for the sky and then with some clever mathematics, I told my assistant the settings to dial in to the flash to get the result I wanted to achieve. As I knew it would, I achieved the correct exposure for both Donna and the sky at the same time. Once I had the first image at this location, I asked Donna to pick up a glass of wine and this time, not look at the camera. This provided more of a reportage feel to the image. The sixth image was then taken in the same location on the balcony, but here we introduced Donna’s daughter. As previously discussed, the quality of life provided by the business and the time it allows Donna to spend with her daughter was an important factor to document. It was decided that Donna would be depicted helping her daughter with her homework. I positioned Donna’s daughter at the table, introduced a couple of glasses of water and then brought Donna in to a pleasing composition within the image. Again, lit with flash, this image exposed both the subjects and the sky correctly. Following on with this same theme of Mum and Daughter time together, for image seven we moved back to the driveway leading to Donna’s home. This time instead of working solely with the natural light as we did in the previous image at this location, I had my assistant walk alongside Donna and her daughter, holding a soft box on a boom arm just out of shot. This gives, I feel, a nice natural look to a relaxed image. I also like the addition of the small cutting in Donna’s right hand, which I think adds something to the image as an overall. The last image we needed to cover was back in location three, inside Donna’s home. Here Donna wanted to an image to show how she sets up her home and presents the clothes at the parties she holds to sell the clothes. This image, like the original one in location three was lit with flash through a large soft box to provide an even illumination. This is the image you see at the top of the page. Once the images had been taken it was back to the studio to download and back everything up before the editing began. To edit the images I didn’t need to do a lot of work as most of the content had been achieved in camera. What I did do though was ensure the colour balance was accurate throughout all the images and retouch any small blemishes in either the clothes or backgrounds. Once the images had been edited they were sent to Donna for approval before being provided to the editor of Thame Out ready for inclusion in the article. Below are a couple of behind the scenes images from this shoot that I thought you might like to see. All in all this was a great project to work on and Donna is a great ambassador for the brand. I wish her every future success with the business.